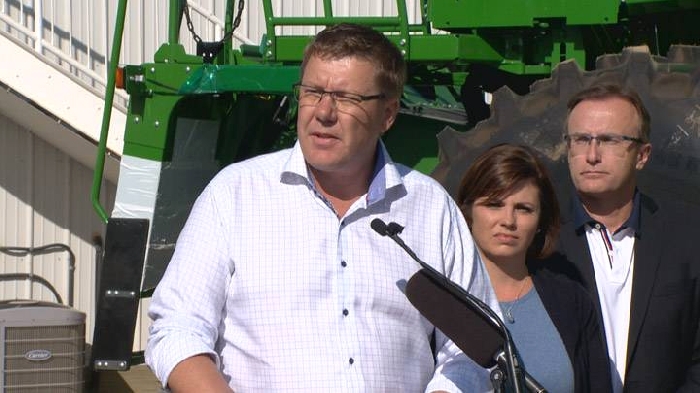 Saskatchewan Party Leadership Candidate Scott Moe announced his commitment to balancing the provincial budget by the 2019-20 fiscal year on Wednesday. In upholding the commitment to balance by 2019-20, Moe added that a priority would be placed on not shocking the economy or valuable public services in Health, Social Services, and Education. During the announcement, Moe also committed to a balanced reinstatement of the PST exemption on crop, life, and health insurance. $70 million (conservative estimate) in savings by introducing a 5% workforce reduction in Executive Government and the Crown Corporations through retirement and attrition. $50.5 million (conservative estimate) in savings through delaying the 0.5% corporate income tax (CIT) reduction for all sectors except the manufacturing and processing sector. The 0.5% CIT reduction for all other sectors would take effect once a balanced budget is achieved. By maintaining the CIT reduction for the manufacturing and processing sector, Saskatchewan would achieve the lowest tax rate for the manufacturing and processing sector in Canada.